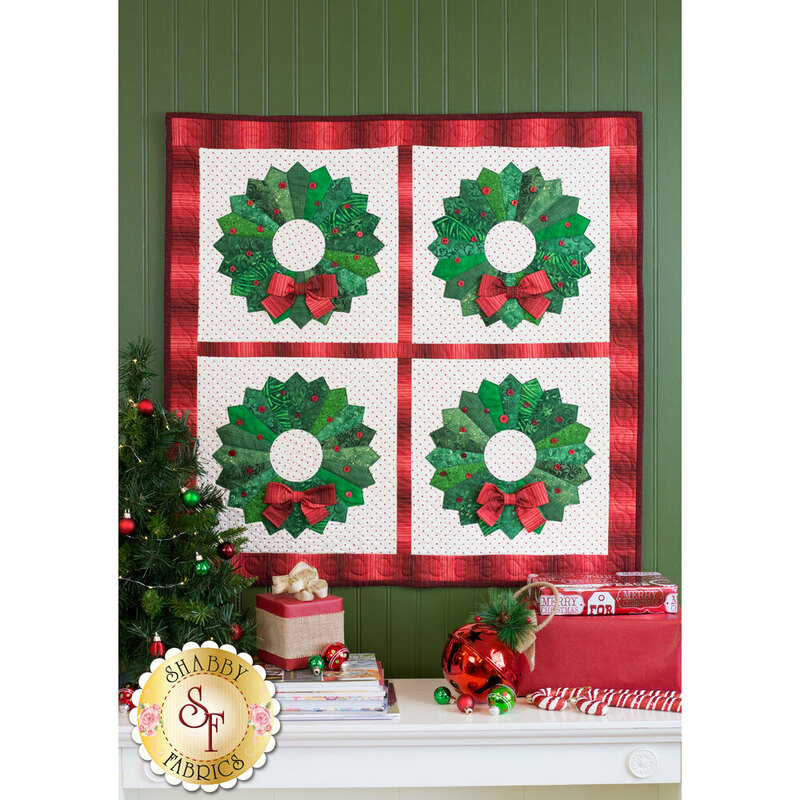 Warm up your home this holiday season with the beautiful Christmas Wreath Wall Hanging! 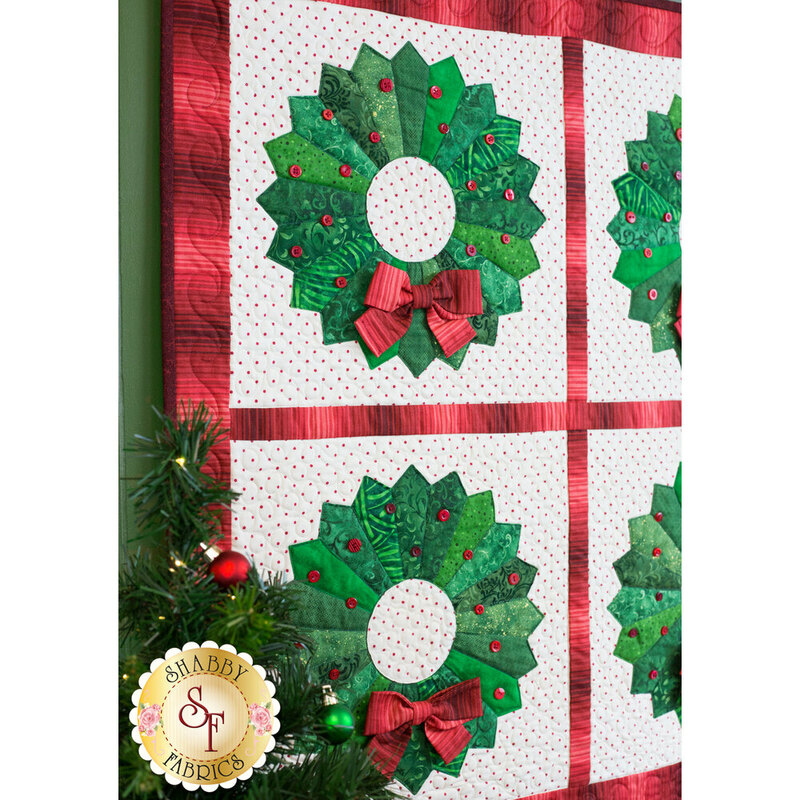 This quilt features a gorgeous Dresden block pattern made with a variety of striking greens by Wilmington Prints. 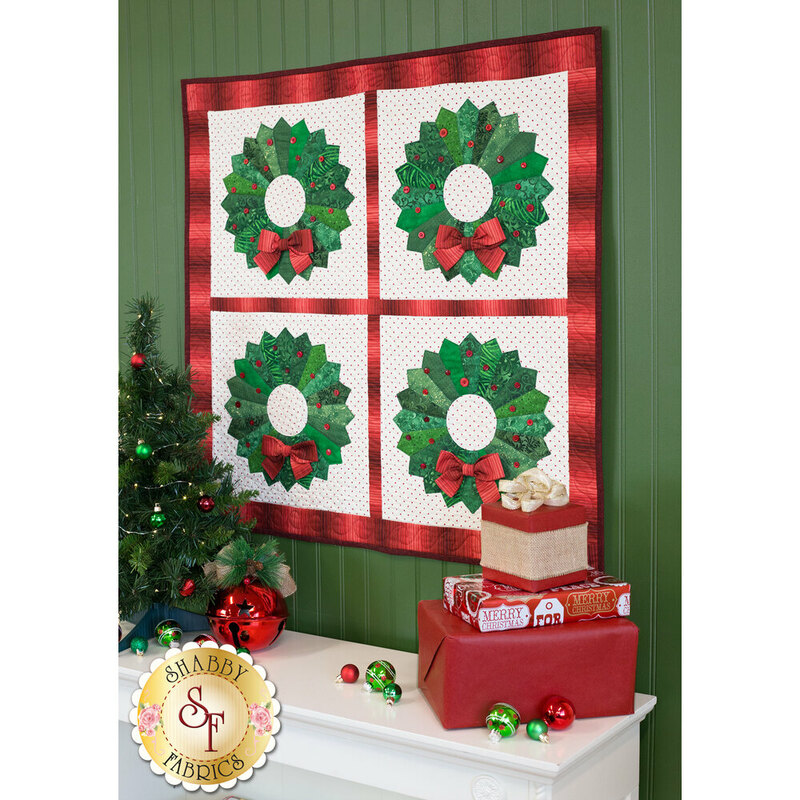 Measuring at 32" x 32", this wall hanging will brighten up any hallway or foyer. Pattern includes full color photo instructions. 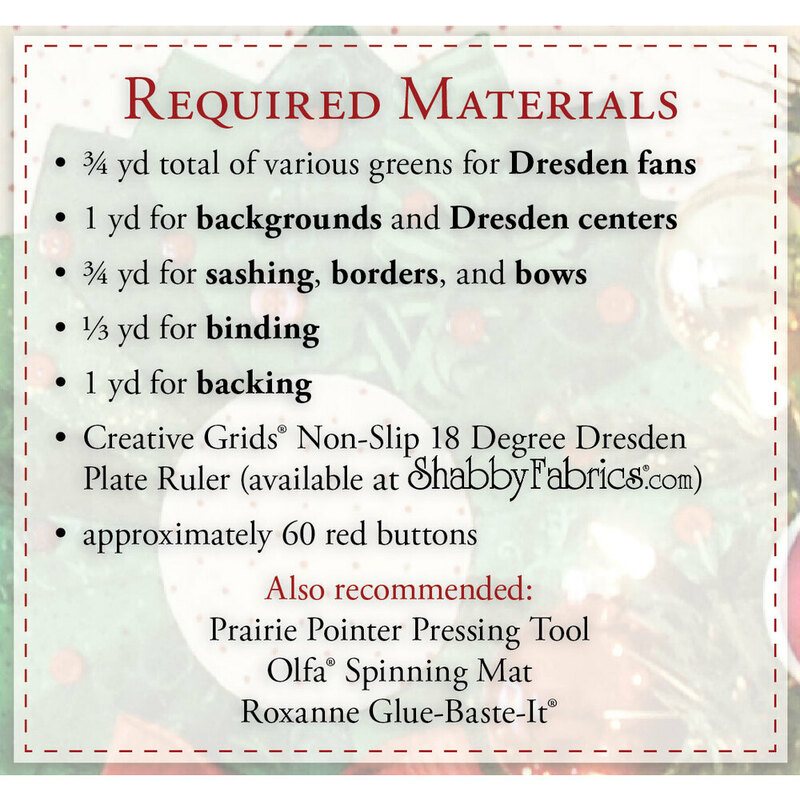 To complete the Dresden quilt, the Creative Grids Non Slip 18 Degree Dresden Plate Ruler is required. We also recommend to add the Roxanne's Glue-Baste-It below. To make things easy (and safer! ), add the Olfa Spinning Mat (12" x 12") below. 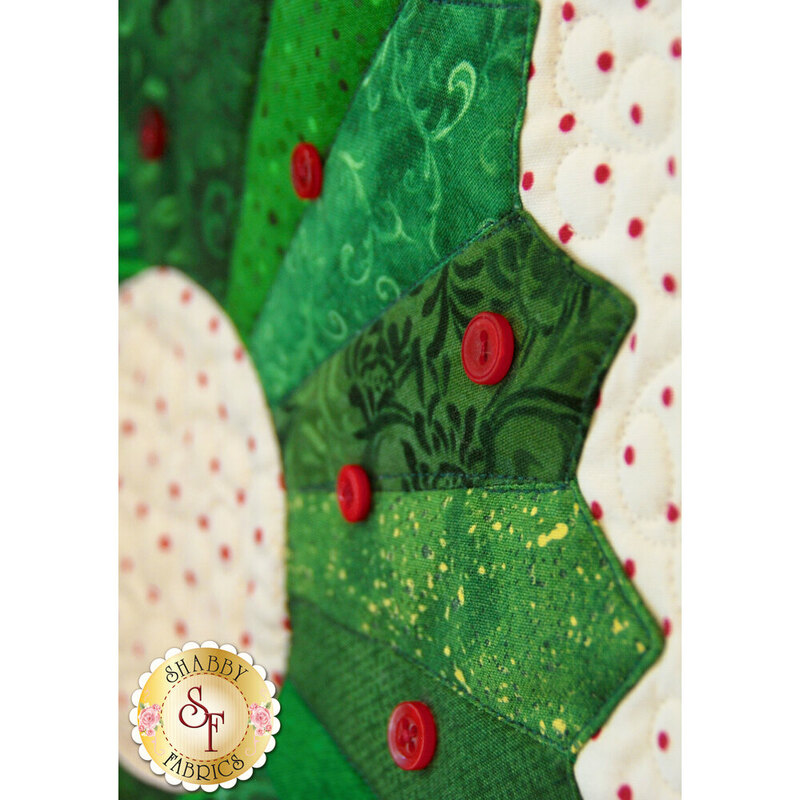 Follow along with Jennifer in the video below for additional tips on making the Christmas Wreath Wall Hanging!